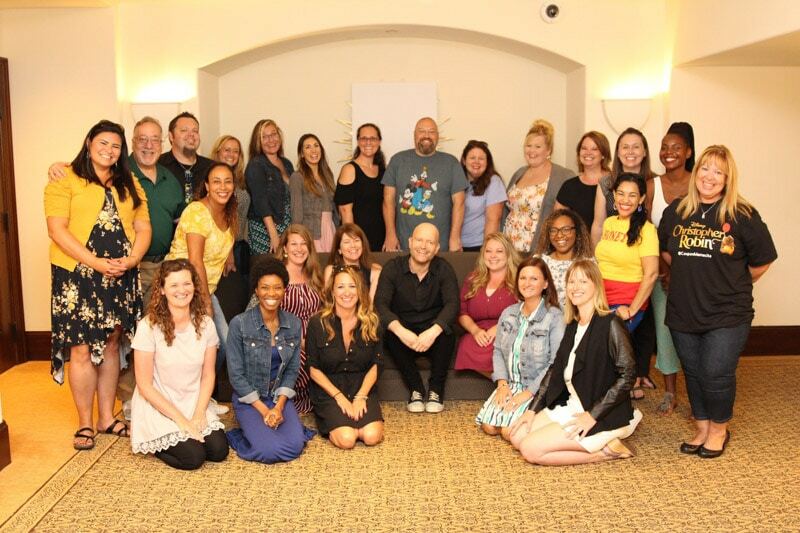 Find out why director Marc Forster chose to make Christopher Robin, how he chose his cast, and more in this exclusive interview! 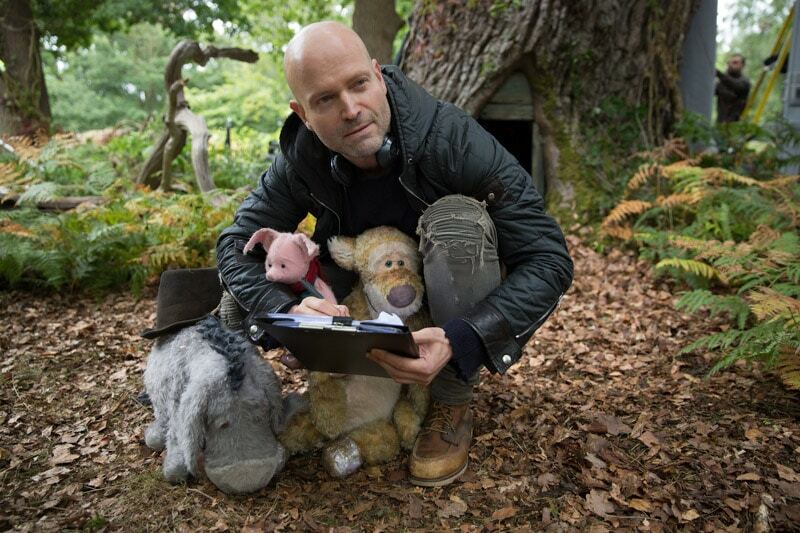 Marc Forster with Eeyore, Piglet and Tigger on the set of Disney’s CHRISTOPHER ROBIN. 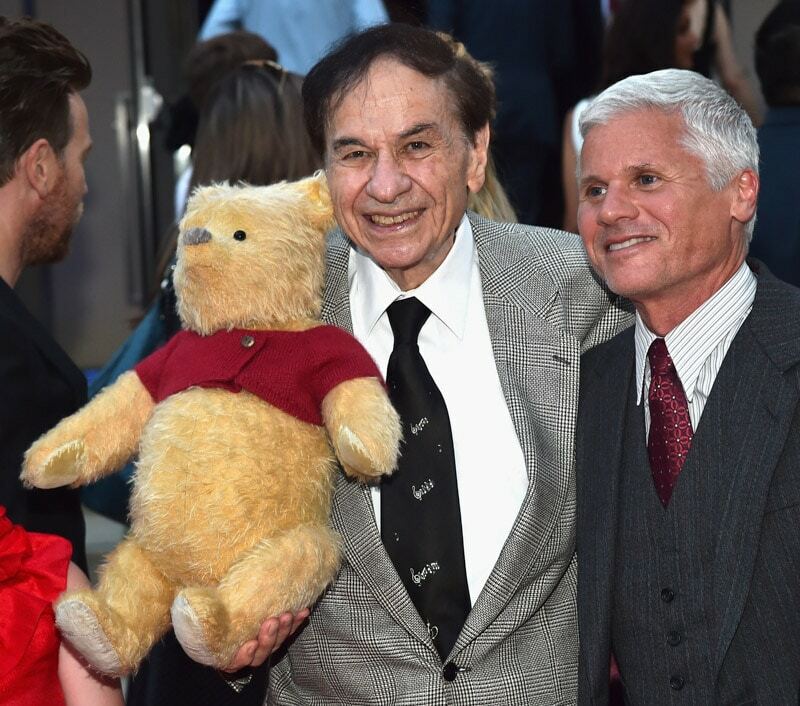 I was invited by Disney to attend an all-inclusive event for the world premiere of the Christopher Robin movie and other activities. All opinions and ideas are 100% my own. 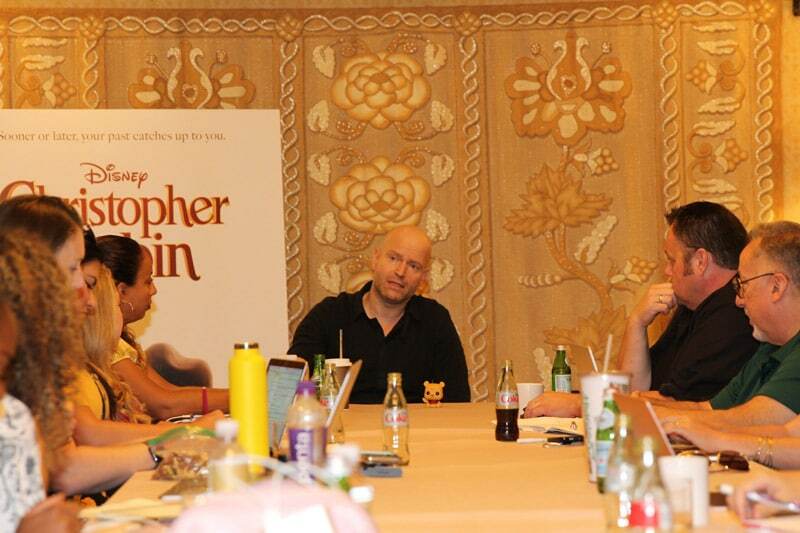 I can’t believe this is my last interview from the Christopher Robin press junket last week. And it’s a great one so even if you’ve already ready my other interviews, this one is filled with some fantastic insight into the vision behind Christopher Robin! 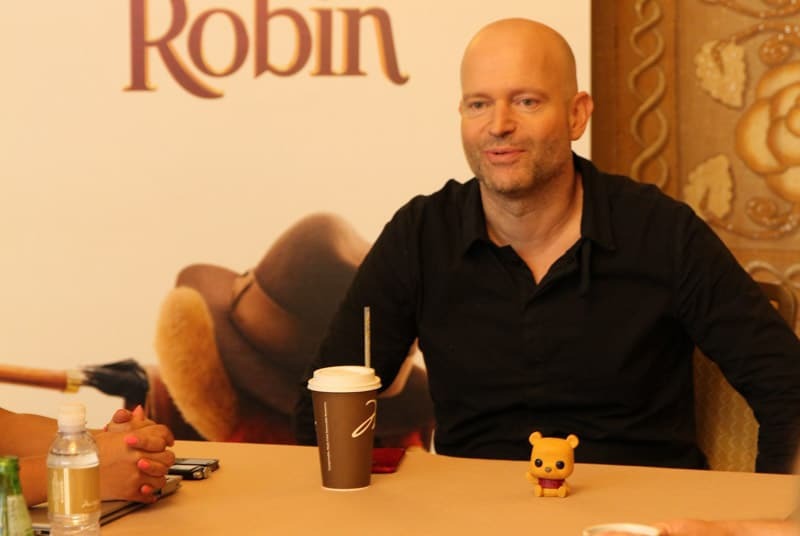 This last interview was with Marc Forster the director of Christopher Robin and unlike Hayley Atwell who was super animated the entire time, Marc was kind of the Winnie the Pooh of the bunch – the zen master! He was calm, collected, and very kind throughout the interview, especially as he was talking about the other cast and crew working on the film. We started the interview off with an easy one right off the bat then moved onto some more challenging questions like symbolism and difficulties filming, so make sure to read through the entire post if you’re a fan of the Christopher Robin movie! Winnie the Pooh is such an iconic and nostalgic story, we were all interested to see why Marc decided to bring this story to life now. I absolutely love that it was actually an idea inspired by his own daughter, totally brings the whole movie about family connections full circle! I was in a plane with my daughter, and we were flying to a vacation, and she’s watching an iPad with a Pooh carton. She suddenly turned to me and said, ‘hey can’t you make a movie for kids once? All your movies are dark and for grownups, and I can’t watch any of them.’ She was six at the time, and I said, yeah, why don’t we do Pooh, jokingly. And then ultimately, I started, I came back, and all the stars aligned. 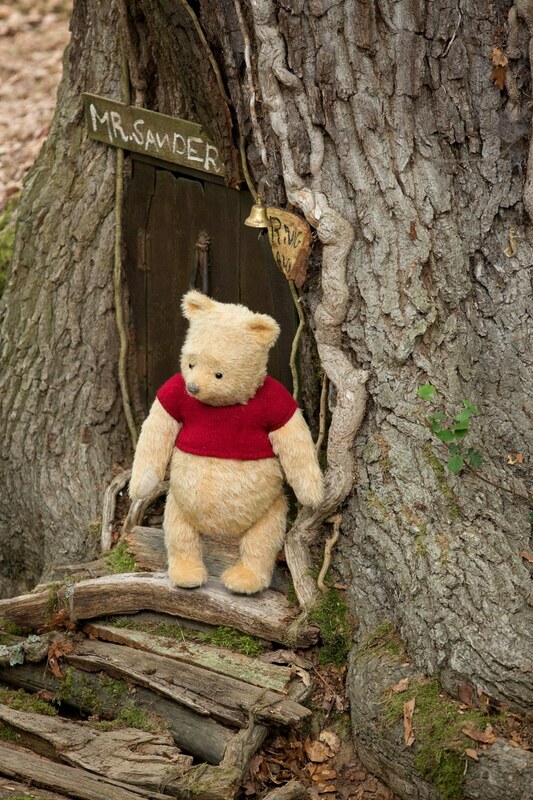 And three year later, we made Pooh. Marc also said that the decision to have Christopher Robin have a daughter (played by the lovely Bronte Carmichael) instead of a son was indirectly influenced by his conversation with his daughter. When we asked Marc about how he chose the cast for the film and particularly why Ewan McGregor as Christopher Robin, he reminded us of something Ewan said in his interview, about how they’ve worked together before. And then expounded a bit on why Ewan was the perfect choice. He’s so good, but the one thing is there’s something about, he’s so likeable and so lovely. You want to just connect with him and you want him [Christopher Robin], that his heart opens again, and he becomes playful and reconnects with his family. And so you really root for him, and it was really crucial to have an actor who has that sort of ability because otherwise, you suddenly don’t connect with him or don’t want to root for him, just say okay, rather you not connect with your family again. I’m totally with him on this one. I’ve been a huge Ewan fan for a long time and after meeting him in person, he’s even more likeable in person than on screen. 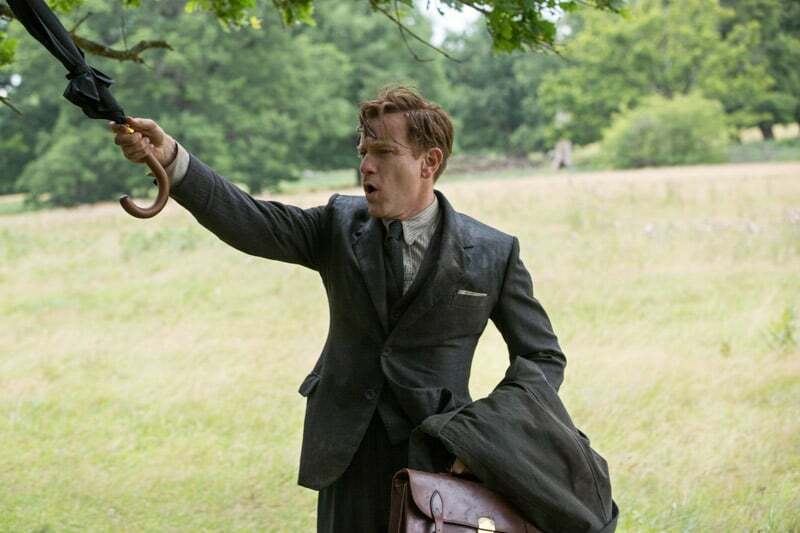 Christopher Robin (Ewan McGregor) with Eeyore in Disney’s live-action adventure CHRISTOPHER ROBIN. 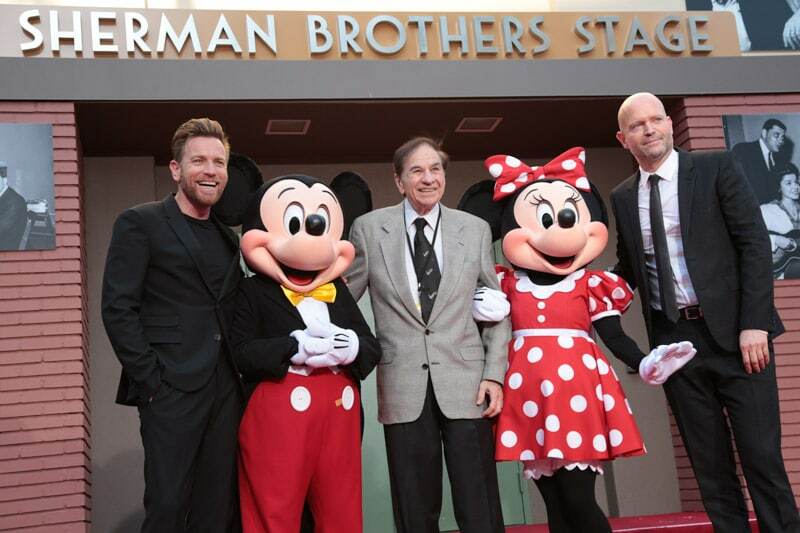 Ewan McGregor is Christopher Robin in Disney’s live-action adventure CHRISTOPHER ROBIN. What symbolism will we find in the movie? Marc is a big fan of symbolism, metaphors specifically, and said to look for them throughout the movie. These were just a few of the specific ones he mentioned during our chat. I wanted the film to end suddenly with him, Ewan, with his sweater too short. It’s like the film is too short as well. I just thought it was funny. The daughter leave the drawing for him, and when she finds the drawing and says I didn’t realize you could draw as well, then he hits the table, and then the honey falls down. It’s sort of like, the honey obviously is supposed to then wake up Pooh. Because the idea was that when he actually sees the drawings that’s sort of when they come back in his consciousness and that’s sort of like when the animals come alive again, in a sense. I’m sure there’s so much more. I need to go see the movie again (I’ve only seen it three times) to come up with some more since Marc couldn’t give it all away! 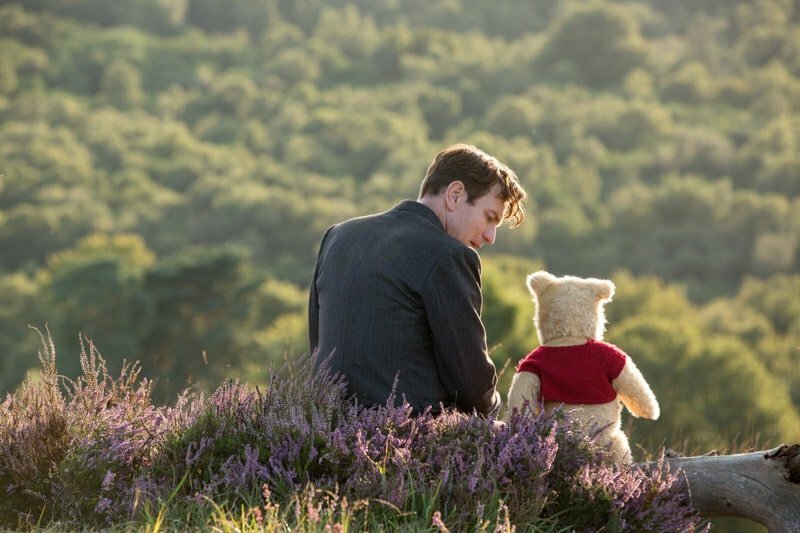 Christopher Robin (Ewan McGregor) and his longtime friend Winnie the Pooh in Disney’s CHRISTOPHER ROBIN. What’s the key takeaway from the film? We asked both Ewan and Marc this question about what message they want audiences to get from the film. You can read Ewan’s answer in our interview with him here, but I thought it was interesting to see their different takes on the message. Guess it means you can really get whatever you need to get out of the film! The movie for me is ultimately about love. His red sweater is sort of like this metaphor for love. I always felt like it’s about the heart. I think it’s so important to have hope, joy, and really – it’s about love. Pooh is about love and reconnecting with the people you love. We are all guilty of that, you know. Everybody works so much today that to find the balance between work and the people you care for. I don’t want to talk for everybody, but I think that mainly the generalization is we don’t spend enough time or attention with the people we love. I think why we’re here is to connect with one another. I mentioned the same thing in my Christopher Robin movie review. It’s definitely a movie about heart, reconnecting, and well, doing nothing. How many of the film settings are realistic? 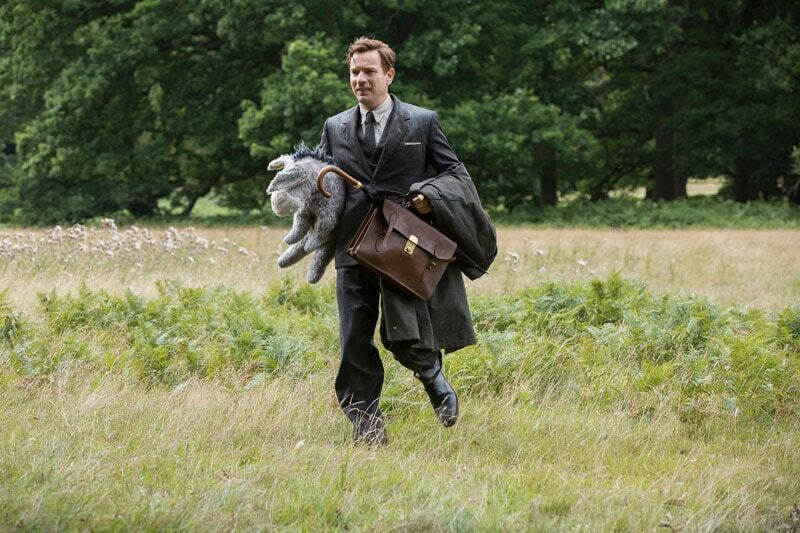 Christopher Robin is visually beautiful not only because of the lovely stuffed animals and cast but also the scenery. When we asked how much of that scenery was real versus added in, I was pleasantly surprised to here the answer. We shot lots of it in Ashdown Forest. Literally next to where Milne’s estate is and where the real forest was. 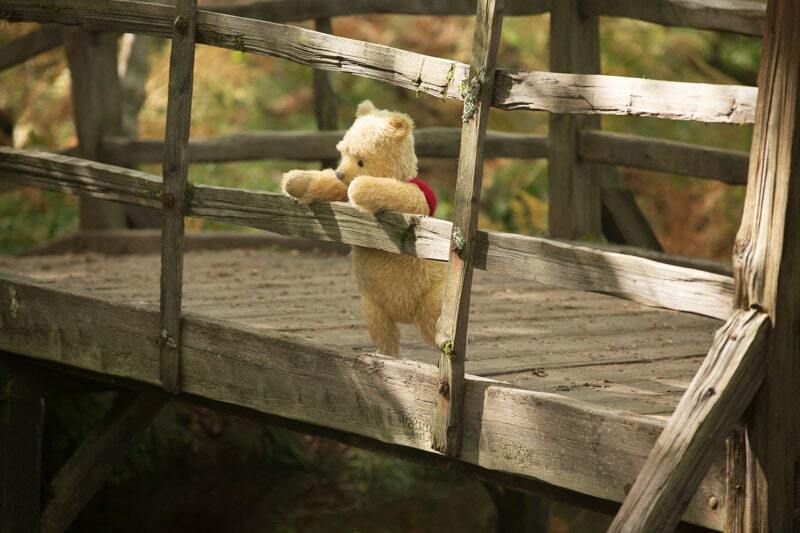 Probably ten miles down the road from where we shot was the little river where we built our Pooh bridge. It is connected to the same river the real Pooh bridge is, so it’s all the same woods and neighborhood. We shot a little bit also of Windsor Park and outside Windsor Castle where sort of the Queen’s park is. The great thing about that particular forest is that the Queen park is sort of untouched. Every tree that falls down can’t be touched. Everything is just how nature bring it, and it’s very wild and looks also very beautiful. I would say fifteen percent there and the rest at Ashdown. How’d the credits scene come to be? 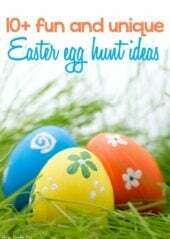 The question everyone always wants to know are what about Easter Eggs? I mean the entire film is kind of one big nostalgic Easter egg, but I love Marc’s response when we asked him about Easter eggs. Stay for the end credits. I think for me the Richard Sherman scene was the Easter egg in a sense. I thought it would be great if Richard Sherman would write me one song, because he’s like ninety years old, and he suddenly came back with three songs. We only wanted the song for the beginning, but then the other songs were so incredible, I said, we have to put them in there. 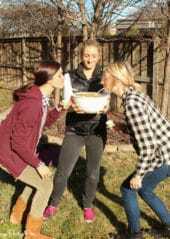 I felt suddenly it would be great to show them all on a beach, and we didn’t have it in the schedule, and it wasn’t really budgeted, and I said to the line producer, you know what. I’m just gonna do it. It was right where we shot the train station set when he’s running through the train station. Next to the train station was the beach. I said to the line producer, you know, I’m just going to go over to the beach. We have so many extras here. Just stick them in bathing suits, run over, I’m taking a camera. Just shoot it. I can do this in two hours. I won’t give you the rest of the details of the scene in case you haven’t seen the movie yet but listen to Marc and stay for the credits. Totally worth it! 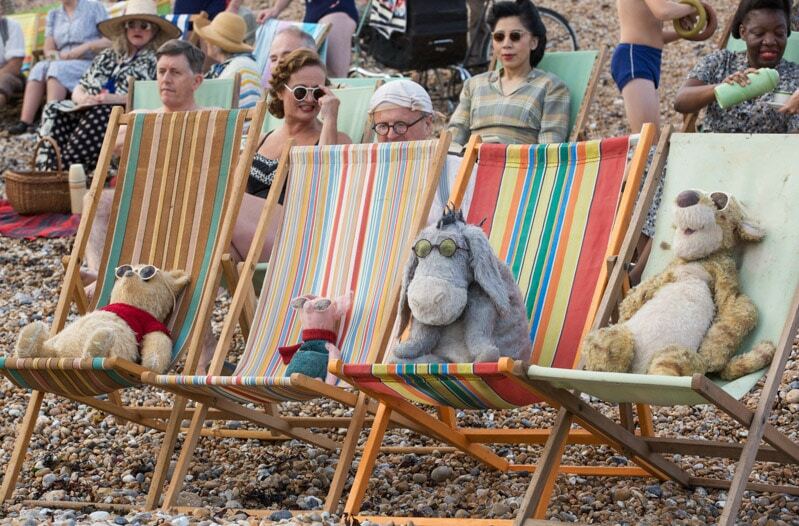 Winnie the Pooh, Piglet, Eeyore and Tigger relax at the beach in Disney’s CHRISTOPHER ROBIN. Which character did Marc like the best? 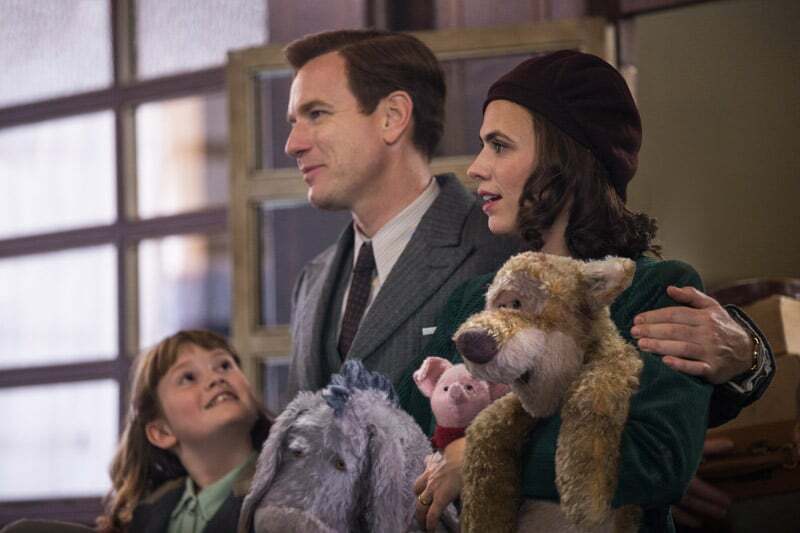 You know it’s funny, we asked a similar question in each of the Christopher Robin interviews and everyone had a bit different spin on who they chose and why. I bet you can guess his answer before even reading it! 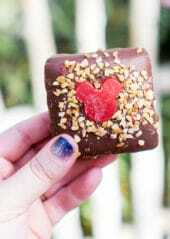 I definitely think for me it’s Pooh and right second it’s Eeyore and Piglet. I have definitely Eeyore and Piglet sides of me. I wouldn’t say, I’m a very big optimist, but there’s still sometimes where I think, ‘oh it’s too late, too this,’ and there’s sort of Piglet moments of worry and fear creeps in and suddenly I think, ‘what am I doing?’ But I think that Pooh has the gift to be very Zen, I think. At the end of the day, after asking everyone this same question, I’ve come to the decision that the main Winnie the Pooh characters, maybe all of them honestly, are meant to be a part of each of us. Maybe that’s why we all relate to it so much. 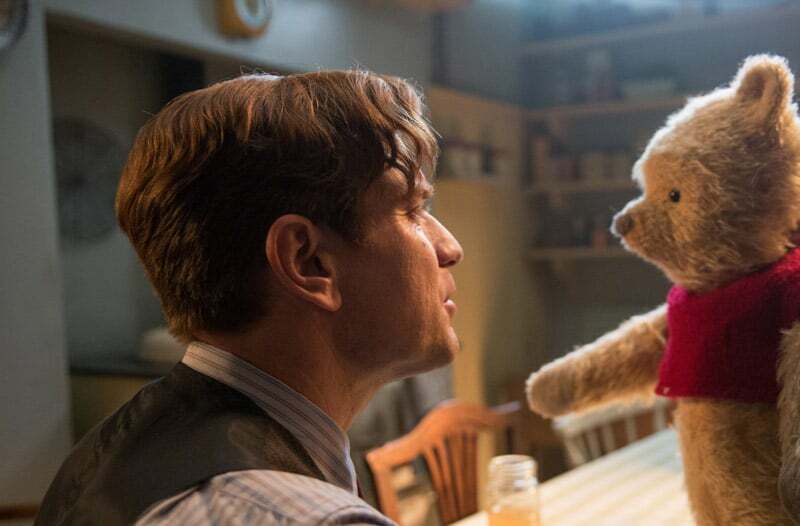 Piglet and Roo in Disney’s live-action adventure CHRISTOPHER ROBIN. Which scene was the most powerful to you? Let me warn you. If you haven’t seen the movie yet, this answer contains minor spoilers. Go see the movie first then come back and finish reading this interview! If you’ve already seen it, then you’ll likely agree with Marc on this powerful scene. If not, leave me a comment and tell me what your favorite scene was! I just love it because ultimately, it’s about Ewan waking up. 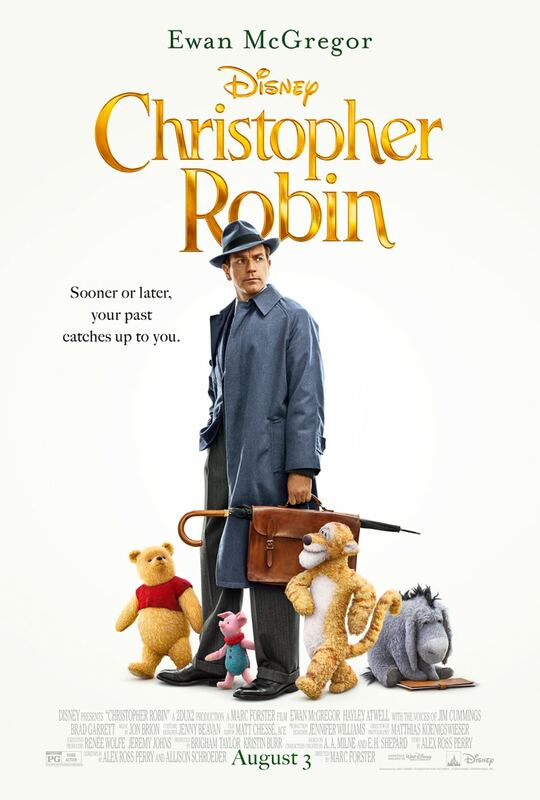 Christopher Robin realizes who he really is and what he has become and from then on, he makes a change. And then when he’s in the train and starts playing the game that Pooh played earlier, it’s sort of very sweet. One of the things I love most about this scene is when Winnie the Pooh assures Christopher that he’s still Christopher Robin. It’s one of my favorite Winnie the Pooh quotes from Christopher Robin! 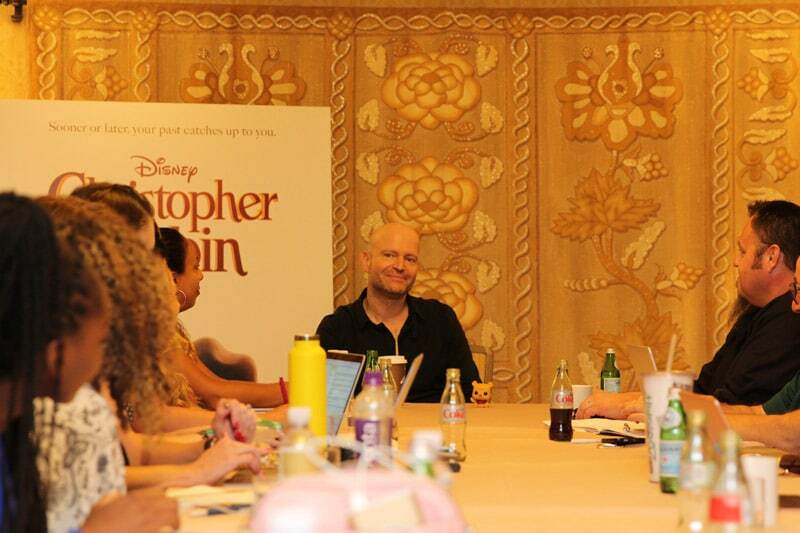 Don’t miss out on all of these other fun interviews from the Christopher Robin press junket! Christopher Robin is the fictional story of what happens when Christopher Robin moves away, grows up, and gets too busy for his old 100 Acre Wood friends like Winnie the Pooh. Really life happened and Christopher just learned the hard way that dreams don’t come for free. Unfortunately working toward his dreams has begun to cost him relationships with his family. Find out what happens when Winnie the Pooh and friends come to the rescue and try to remind Christopher what it’s like to play and do nothing again. It’s a magically charming film that everyone should see with their families! 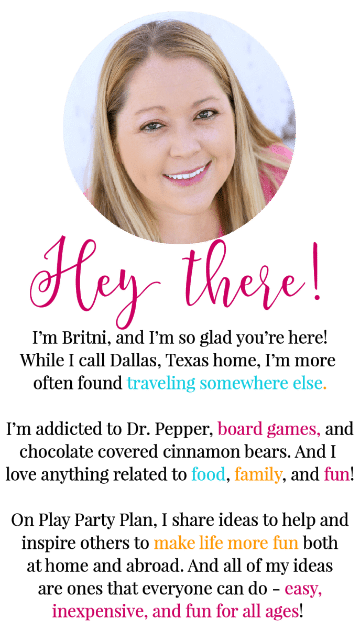 Want more info? 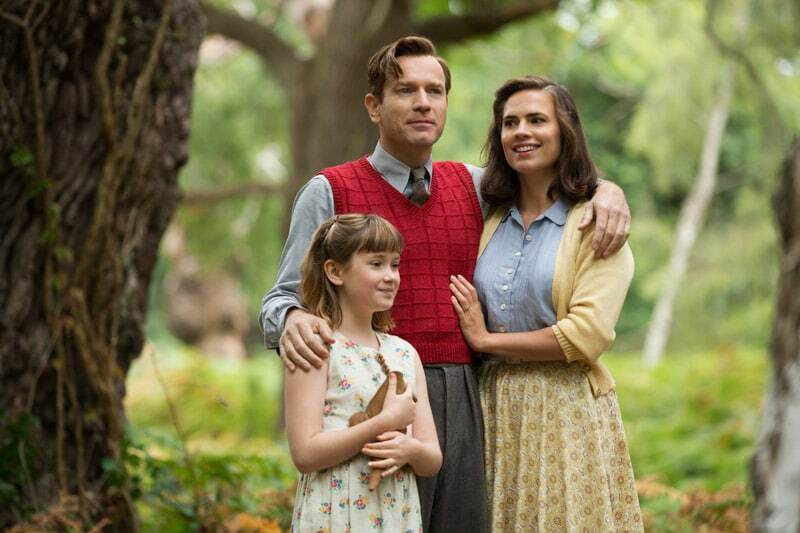 Here are six more things to know about Christopher Robin! 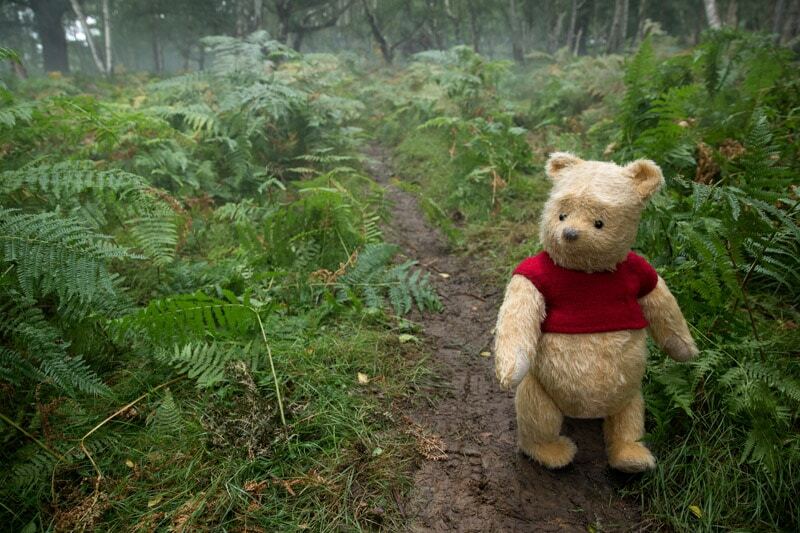 Christopher Robin is in theaters everywhere now! Check out my full Christopher Robin review here.